Bex has been with us at All Creatures since November 2017. 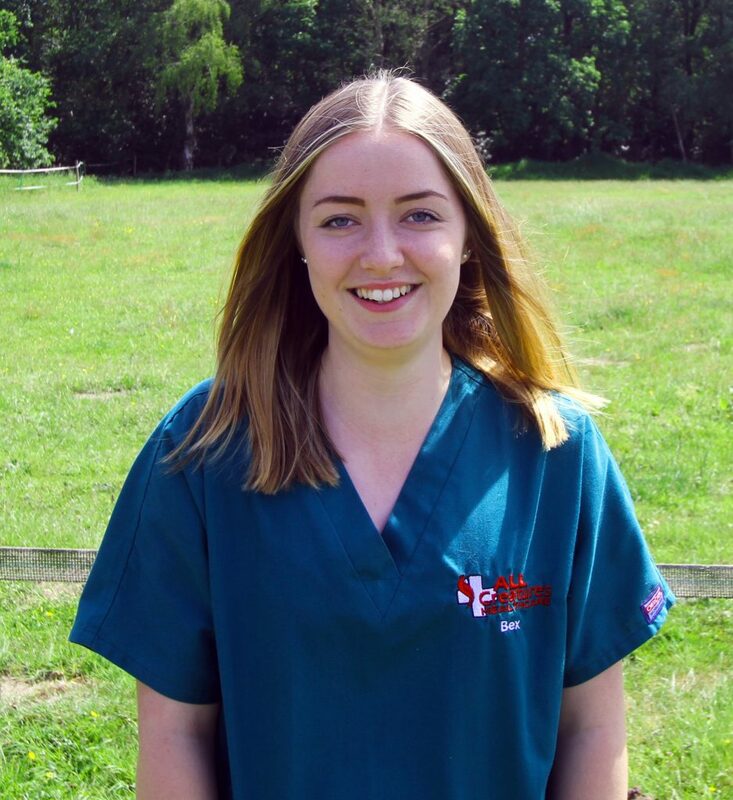 Bex has a BTEC level 2 in animal care and is a trained animal care assistant with the RSPCA. She is currently undertaking a VCA course and will start her Student Nurse training in September. Bex has always wanted to work with animals from a young age and has two pets of her own; one horse (Toby) and two cats (Marco and Nellie). In her spare time, Bex enjoys dog walking and horse riding.